A small plane crashed at the Craig Airport located in East Arlington. There was one person reported aboard the 'experimental aircraft' and at this time no injuries were reported. 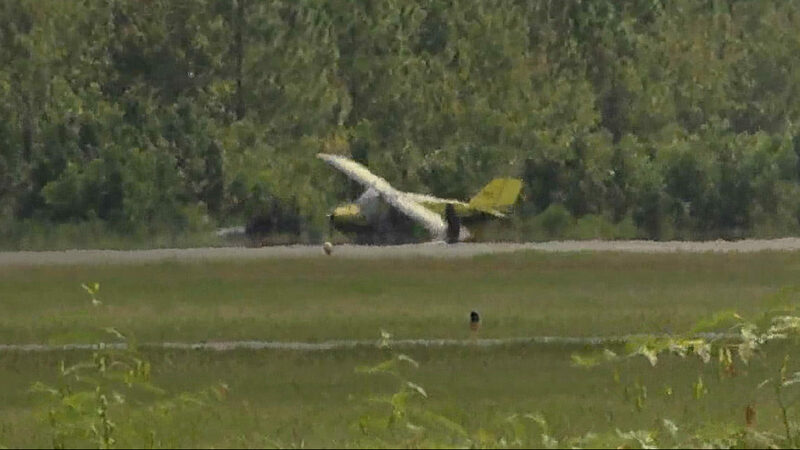 The aircraft was described as a 'home-built float plane' by a Jacksonville Aviation Authority spokesperson. JACKSONVILLE, Fla. - A single-engine plane on approach to Jacksonville Executive at Craig Airport Thursday morning made a rough landing and one landing strut collapsed, according to the Jacksonville Aviation Authority. The pilot of the float plane -- which has both pontoons and wheels -- had reported engine problems before landing, according to the JAA. Upon landing, the plane's left landing strut collapsed. The pilot was not hurt, but the plane was stuck with one wing on the ground near the end of the runway for some time, restricting air traffic at the airport through the middle of the day. Jacksonville Fire Rescue personnel were called, but there was no fire or other emergency. September 20, 2016: Aircraft force landed on a highway.